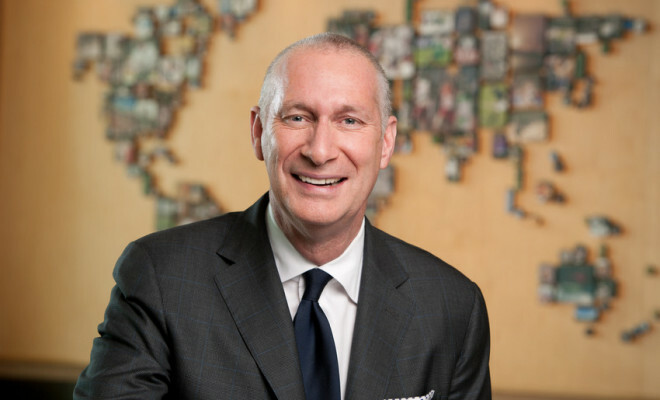 John Skipper isn’t going to fail twice, at least not with two vanity websites pegged with turning ESPN.com and its subsidiaries into more than just a sports destination. Skipper, the man charged with leading ESPN into this new, uncharted future of cord cutting and mobile dependence, could have chalked The Undefeated up to a failed journey; a noble course charted at the base of Mount Whitlock that never could manage to get off the ground. Grantland was billed as ESPN’s catch-all of cool—where sports and pop culture could, and for a while did, intersect—but The Undefeated had loftier goals when ESPN announced the project. 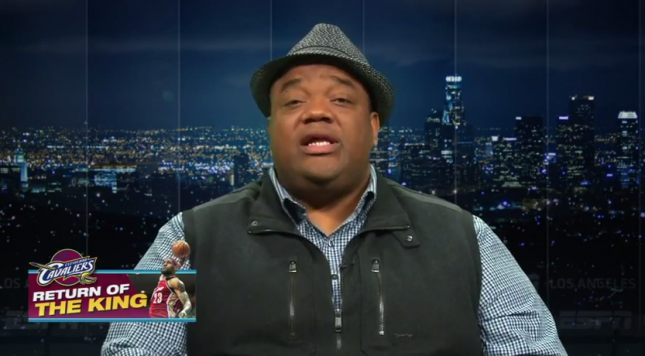 A sports and society page focused on the African-American community had never been tried on a level of this magnitude, with so many talented people, presumably, joining Whitlock for a project that was too big—and too culturally significant—to fail. And yet, with Whitlock at the helm, and ESPN dealing with the demands of the powers-that-be at Grantland, The Undefeated felt doomed from the start. If it even ever had a proper start. Where ESPN failed most significantly was in not realizing what it already had, both in talent on the ESPN.com payroll (and, yes, some at Grantland) and in its deal with The Shadow League, a de facto beta test for what The Undefeated aspires to be. Instead, Skipper and the powers that are at ESPN, thought creating a Grantland 2.0 behind the largesse of Whitlock’s status and reputation in the industry was the smarter way to go. And then he was gone. And so was Simmons. And Grantland shortly after that. But not The Undefeated, when that would have been the easiest thing to do. The Undefeated was going to work because Skipper believed in the idea. There’s a difference, an ESPN official said on the day Grantland was shut down, between a pop culture site and a culture site. ESPN (read: Skipper) clearly had no interest in covering pop culture—reportedly a large part of the reason why the post-Simmons Grantland was shuttered, with some of the more notable sports writers funneled into the mothership—but writing about culture, and specifically black culture, was still something Skipper and ESPN wanted, even (read: especially), without Whitlock at the helm. Enter Kevin Merida, who was hired to take over The Undefeated on October 19, 2015, just 11 days before Grantland was shut down. The moves, when connected, made zero sense for ESPN. Why bring in a new editor for a personal vanity site unsuccessfully built around Whitlock, then less than two weeks later, cut ties with dozens of people working for the shattered remains of another vanity site successfully built around Simmons? That, by the way, is not a reason ESPN should have saved Grantland. If it didn’t die the minute Simmons was canned, it died the instant editor Sean Fennessey turned down the EIC job to replace Simmons. The rest was just a matter of rearranging the furniture for the fire sale. And from those ashes rises The Undefeated; the website that has to work, because failure on this venture, for Skipper and all the Worldwide Leading executives who had a hand in its creation and/or Grantland’s demise, is not an option. This has to work, so it will. It also has to work because there is no way Merida would have left his job as the managing editor at The Washington Post for something he thought would fail. Merida wasn’t an editor at the Post, he was essentially the editor, and while, sure, newspapers are dying and all that stuff we’ve heard over the last decade, the Washington Post isn’t just a newspaper, it’s in the very small handful of the newspapers in this country. How sweet was the gig ESPN gave to Merida? He was named EIC of a website that nobody thought would ever actually launch—just getting the site going, no matter what the content or the traffic metrics, will be a huge career success for Merida—but he was also given the snazzy title of senior vice president, reporting to ESPN Executive VP for Global Strategy and Original Content Marie Donoghue. And he gets to stay in D.C., which is why the recent news that he’s hiring basically half the Washington Post’s staff to join him at ESPN makes so much sense. While those involved remain tight-lipped as to when the site is going to launch, this week ESPN announced five new additions to Merida’s Undefeated team, two of whom—Lonnae O’Neal and Clinton Yates—come from the Post. 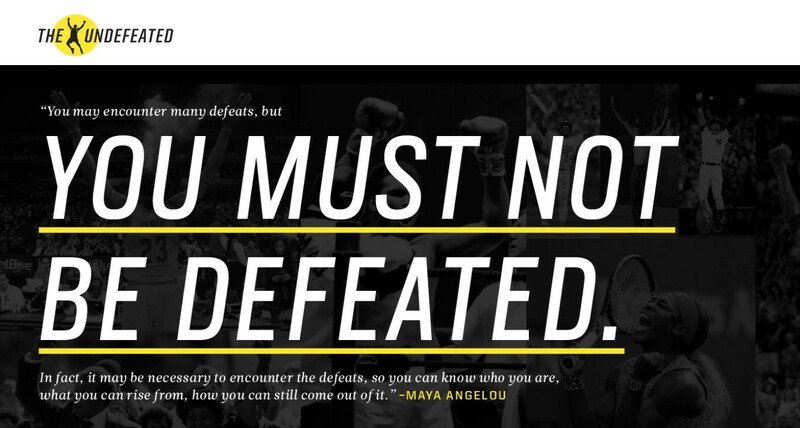 Last month, four writers were added to The Undefeated masthead, including two—Michael A. Fletcher and Soraya Nadia McDonald—directly from the Post. Jason Reid, currently writing about the NFL for ESPN.com, previously worked, yes, at the Post, and will be joining The Undefeated team. Mike Wise, who pre-dates Merida’s hiring, came from the Post as well. Oh, that’s not everyone. 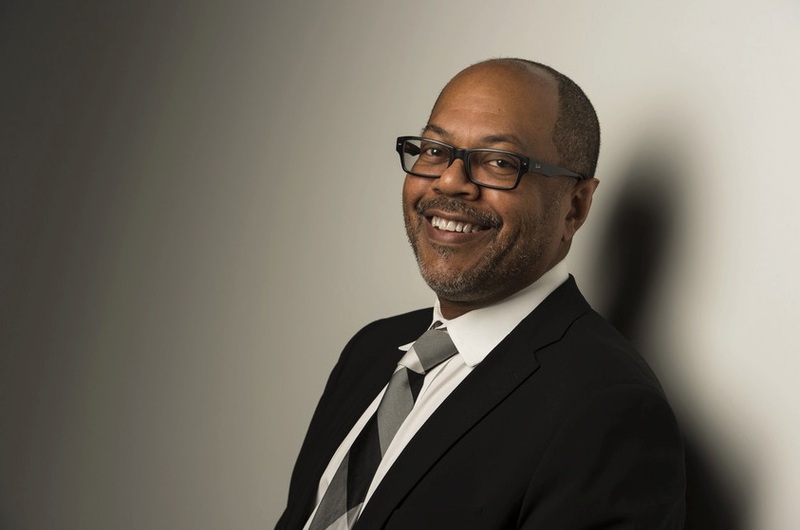 Steve Reiss, hired this week at The Undefeated from Crain’s Chicago Business, where he served as Managing Editor, was the Enterprise Editor at The Washington Post—a paper he worked at for 22 years, starting on the Metro desk in 1990—before leaving in 2012. Latoya Peterson, also hired this week from a post at Fusion, is from D.C. and has had worked featured in the Washington Post. Danyel Smith, who was an editor at Billboard, Time, INC and was the EIC of Vibe, worked for, as her Wiki page calls it “a short stint” at the Washington Post’s political site The Root. It’s one thing for Merida to stake his own reputation on the success of The Undefeated, but he is bringing a lot of firepower with him, including many who worked with him or for him in the past. A lot of people, both inside ESPN and out, have faith Merida is going to make this work. It really has to work. And, yet, it might not. ESPN knows how to cover sports, and there’s a fear that even with all the talent the company is bringing in to launch The Undefeated, it may not make any sense to take the risk of venturing into more controversial, polarizing and politically charged issues that will undoubted be covered on a site focused on race and culture. 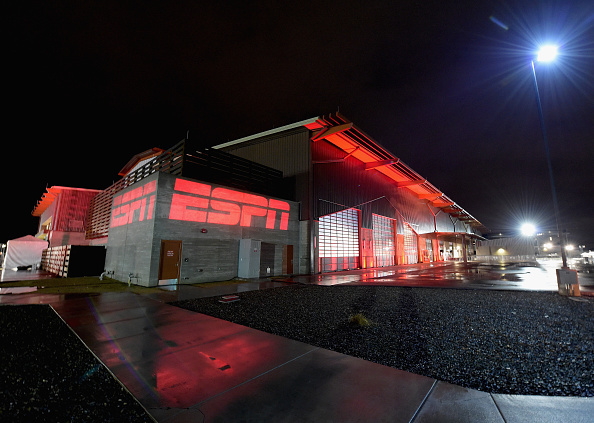 ESPN likes to pretend it embraces debate, but those debates are safely confined within the structured walls of a fortress, built in Bristol, Connecticut on the back-breaking success of two things: sports and accessibility. Whitlock’s failure put a target on The Undefeated, and while many in the industry are privately rooting for the site to launch and be as good as the collective talent they’ve assembled can possibly make it, there are other factors at play. What if nobody shows up? ESPNW was a lofty idea, and those at ESPN can give you all the data they want, but it hasn’t been the groud-breaking women’s sports vertical people thought it could, or perhaps should, be. With the cord-cutting phenomenon not looking to start making ESPN and parent company Disney any more money anytime soon, ESPN has been charged with trying to save costs anywhere it can. Now, let’s be real, the WWL spends nearly $2 billion each year for NFL game and highlight rights, not to mention the salaries of those tabbed with covering the league, so a dozen or so writers and editors at a boutique race-and-culture website isn’t going to make a dent in Disney’s bottom line. Still, as most media companies dig in and focus on what’s working, launching a site everyone would have been just fine to see disappear when Whitlock did is a big risk for ESPN; perhaps the biggest reason why they have to make it work. It’s worth noting that some of the best parts of Grantland are still at ESPN, doing the same great work but in a different package. If The Undefeated launches, sorry when it launches, the team ESPN put together will have a huge win, led by Merida. And yet, maybe that’s not the end game, for him or the site. Would it surprise anyone if in two or three years—hell, in half that time—Merida moves up the ranks at ESPN, maybe running the entire web platform, while the writers at The Undefeated are funneled back in to ESPN.com to do the same work they’re doing, just in different packaging? Would that have made The Undefeated a success or a failure? Frankly, if (read: probably when) that happens, it won’t matter. Because just getting the thing launched will be all the success Skipper, Merida and ESPN ever need.